Located near the studios of Disney, Universal and NBC, the Burbank regional campus is home to programs for the School of Business. 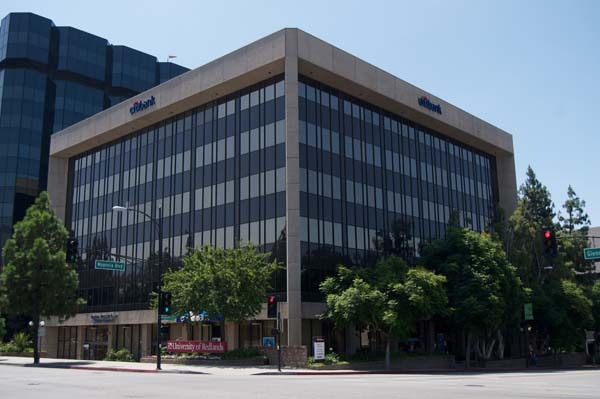 Located in the hub of the nation's entertainment industry, the School of Business Burbank campus is just off the Olive Avenue exit from I-5 in downtown Burbank in the Citibank building on Magnolia Avenue. We serve business leaders and professionals seeking career advancement, networking, and entrepreneurial opportunities, as well as working adults completing their first college degree. Spending time with my awesome cohort! I like to think that I excel at organizational management which include creating a positive culture, establishing sound financial practices, incorporating a sensible structure, etc. I spent many years in non-profit service and leadership beginning in high school, and, since then, I've had many opportunities at the senior level to contribute to and develop organizations. For-profit organizations have the same needs for strong organizational management, and my M.B.A. coursework updated and refined the skills I learned over the years. In one word, how would you describe University of Redlands or Burbank Campus? What advice would you give University of Redlands students? First, commit the best of yourselves during your program. Most of us work full-time while attending classes, and some are married and/or have children. I know it can be incredibly challenging with the demands that your program places on you, but commit yourselves by finding the right balance and giving your full attention to your learning. I've seen more than a few people suffer because they're not committed to the program or care very much about the results. Second, commit the best of yourselves AFTER the program. Sure, the degree will (hopefully) help you make more money and promotions, but who you are inside is infinitely more important. If you want talented, committed, loyal followers, you have to be a leader equipped with skills and abilities rooted in character, compassion, and wisdom. What is your favorite aspect about your current job? We are now accepting applications for University of Redlands graduate programs to be held at our WeWork office in Downtown Los Angeles.